When tiki people think of Florida, their first thought is of the Mai-Kai, but there are other tiki places—and many, many tikiphiles and home tiki bars—that are going to be impacted by Hurricane Irma. I’ll be updating this list of locations and how they’ve been affected as we learn more about Irma’s impact. The Fort Lauderdale area was spared the earlier forecast of a more direct hit, now that Hurricane Irma is hitting the opposite side of the state. However, its location on the stronger, east side of the storm means it’s still getting hit with some strong winds, and a risk of tornadoes. The structure of the Mai-Kai is steel, and has held up just fine to strong winds in the past. If there’s an extended power outage, the spoilage of the perishable food inventory could be a not-insignificant cost. Monday, 6:06am: Per a post just now from the Mai-Kai, “your mana worked! The Mai-Kai is standing proudly”. They say they’ll be working to reopen the restaurant ASAP. I’ll update again when more details are known. 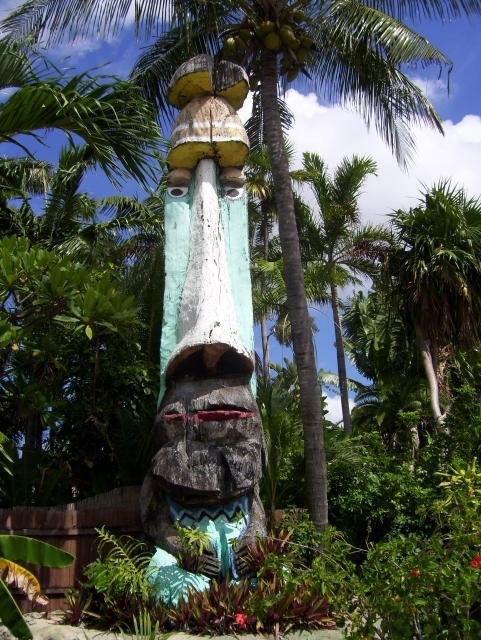 Monday, 8:00am: Per Kulani Gelardi’s response to a query by Swanky on the Mai-Kai’s post, the large, iconic Barney West tiki is a casualty of the storm. It has been in rough shape, but it was a very special tiki, and a sad loss. Monday, 10:21am: Extra good news! The Mai-Kai reports they still have power (remarkable, as the news has been reporting that more than half the state is without it). Monday, 11:55am: And now the best news! The Mai-Kai plans to open for business tomorrow (Tuesday) at 5pm. Tomorrow it’ll be the Molokai Lounge only, and they’re hoping to resume dinner service as early as Wednesday. Monday, 1pm: Sounds like the gardens are in rough shape. The Mai-Kai is looking for volunteers tomorrow, starting at 9am, to help with cleanup. The Bahi Hut—which opened in 1954, making it even older than the Mai-Kai—is right in the currently forecast path of the hurricane. It’s a few blocks from Sarasota Bay, which is expected to experience some storm surges that could lead to flooding in the area. Orlando isn’t in directly in the forecast path of the storm, but it is northwest of where it’s expected to make landfall, and could experience some very strong winds. However, Disney knows how to build a solid building, and hopefully the storm will be weakened a bit by the time it passes closest to Orlando. Guests are staying in place at the Resort while the parks are closed, meaning Disney expects it to stay in pretty darned good shape. I am curious about potential impacts from water in Lake Buena Vista getting whipped around. Monday, 6:30am: The WDW News Today Twitter account (@WDWNT) is sharing lots of pictures from the resort. The picture above comes from @Petey_Kirch. 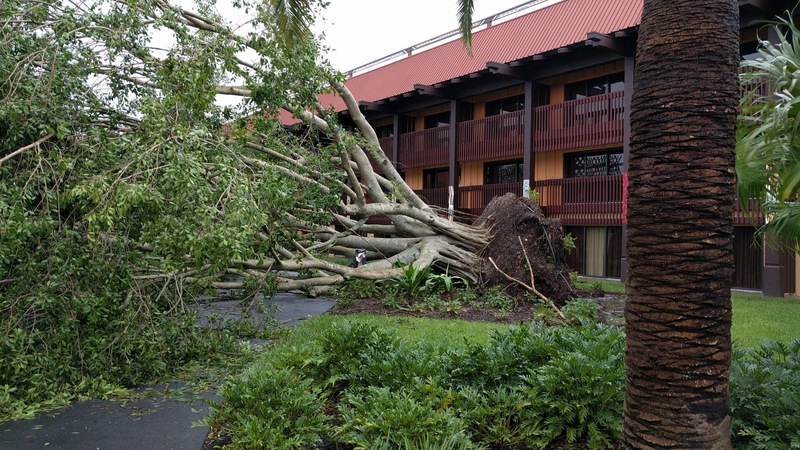 So far, the biggest damage at the Polynesian appears to be a very large tree that fell, but thankfully it doesn’t look like it hit anything. Minor damage includes a fan that fell from a bus stop, and a strip of metal that separated from the end of a roof peak. That iconic tall tower atop the Enchanted Tiki Room may look like it could be in trouble, but look closely: it’s all open-air, designed to let the wind pass right through it. See? Those imagineers know what they’re doing. Hopefully it’ll hold up just fine. Some missing thatch wouldn’t be a surprise. Monday, 12:31pm: WDW News Today reports that the Magic Kingdom will be open tomorrow (Tuesday), so we’ll know more then about any possible impacts at the Tiki Room. The WDW trend seems to be downed trees, and not much worse than that. Tuesday, 6:42am: WDW News Today has a list of closed attractions today, and the Enchanted Tiki Room is not on it, so it’s at least operational. The Jungle Cruise, however, has extensive tree damage and could be closed for a few days. This brand-new Universal Studios theme park has the benefit of using the very latest in hurricane-friendly construction. Its plantings are relatively young, and I don’t know how that impacts how they’ll hold up in a storm. Like the Disney properties, Aku Aku will see strong-but-not-strongest winds. It’s near Lake Eola, no idea if that will factor at all. Waitiki is in downtown Orlando, and like other Orlando tiki sites, will see some strong winds, but not the worst of the hurricane. This old school mini golf course is uncomfortably close to where Irma is likely to make landfall. Hopefully its iconic moai will survive, it’s been around forever. The current forecast has Irma passing very near Tallahassee in Florida’s panhandle, but by that time it should have hopefully weakened. Like the Mai-Kai, Kreepy Tiki could experience some risk of strong winds and a slight risk of tornadoes. This mid-century retirement community complex is a bit inland from the Mai-Kai, and will likely experience some strong winds, with a slight risk of tornadoes. This 1974 condo complex is not far from Hawaiian Gardens in Lauderdale Lakes, and has a similar forecast: strong winds, slight tornado risk. 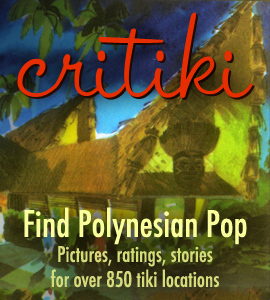 There are many more Florida tiki locations in Critiki, but the list above covers those that seem to be most at risk. There are two El Polinesio locations in Cuba, most significantly the former Trader Vic’s in the Cuba Libre hotel in Havana. Havana was hit hard by Irma. When I hear about how it’s fared, I’ll update here. Critiki has a large number of home tiki bars in Florida, many centered along Florida’s eastern Treasure Coast, and also near Gainesville and Orlando—for the most part, out of serious harm’s way. Of course there are many, many tikiphiles throughout Florida who don’t have home tiki bars in Critiki, including people whose homes are rather close to the projected path of Irma. 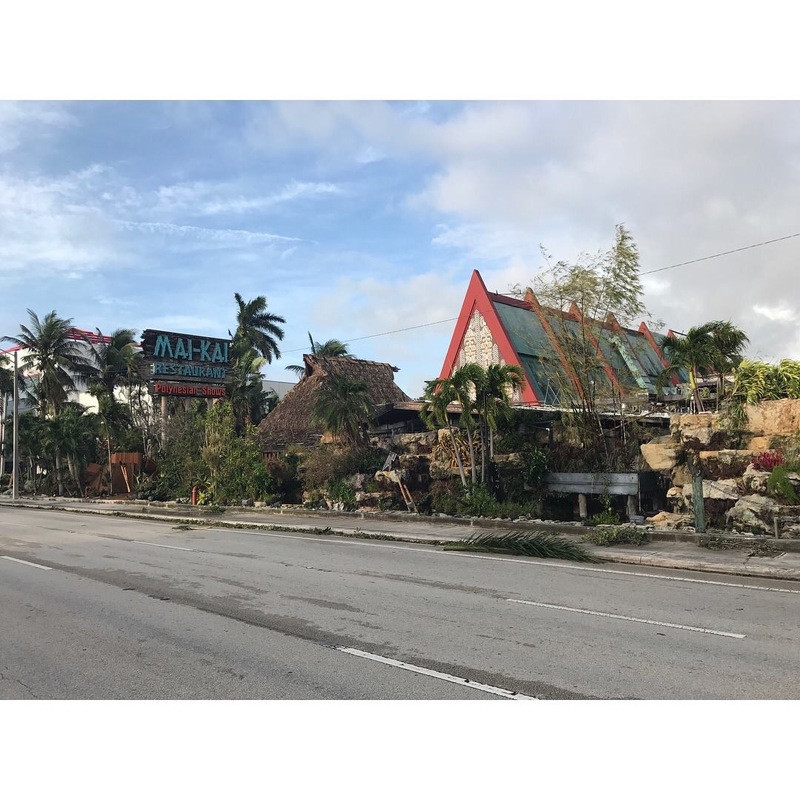 Further, while our favorite Florida tiki establishments may survive, it’s possible that the crew that keep these places running may have experienced significant loss at their own homes. As the picture clears and more is known about the full impact, if there are members of our tiki community who have been hit hard, I may share their stories and any fundraising campaigns here. I must admit I will be cautious about this, I’ll only feel comfortable sharing campaigns that I’ve been able to personally vet. It’s hard to be so full of worry, and honestly my worry is much more centered on the people whose lives have been devastated throughout the Caribbean. It’s been a sad season, and I hope the worst is behind us.